We are very excited to share with you that our technology has made its way over to Belgium. The product pictured is an electric vehicle charging station, one of 25 positioned along Belgium’s motorway system, linking the country’s major cities. These stations can charge two vehicles at the same time and drivers can expect to charge 80 per cent of their battery in just 30 minutes. For this product, we have supplied a membrane switch and acrylic backing panel as the interface which, put simply, is the black part that you can see in the middle of the unit with the buttons. 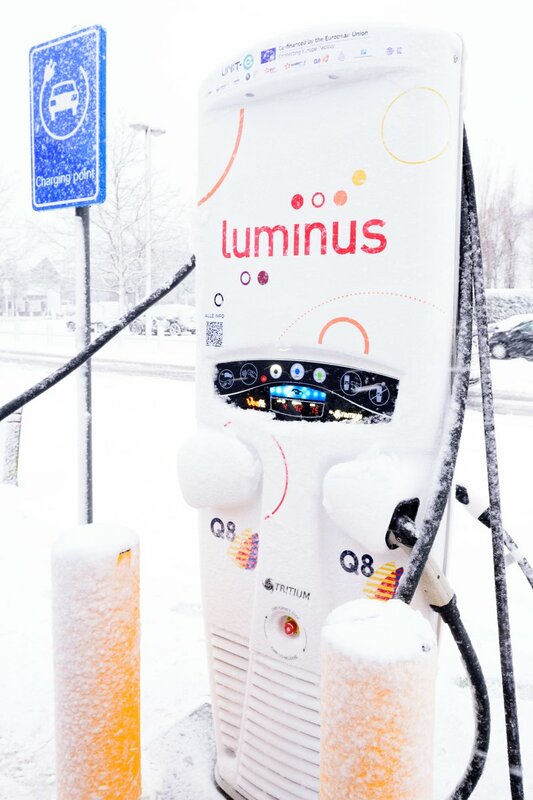 As you can see, the charging station is up against harsh weather conditions, in this case, snow. Worth noting is its unique liquid-cooled technology, which enables the Veefil-RT to operate in such extreme temperatures. It’s incredibly important to us that we can meet the high standards required of us by our customers. We are pleased that we can illustrate how we provide solutions for world-class technology with particularly robust specifications including the ability to withstand harsh conditions. The charging stations within this network are easy to use and accessible to all drivers, making this project a key component of the modernisation of transport infrastructure across the EU. Being part of a project that makes it feasible for electric car drivers to travel from Scotland to Genoa in Italy or Brussels in Belgium, using public charging to support their journeys, is certainly something that we are pleased to be involved with. Here at Reid Industrial Graphic Products, we’re proud of our commitment to our quality management system and continuous improvement. In 2010 we were recipients of the Quality Management System 15 Year Gold Award. This award recognises of our efforts in the management of our quality systems over the past 15 years. 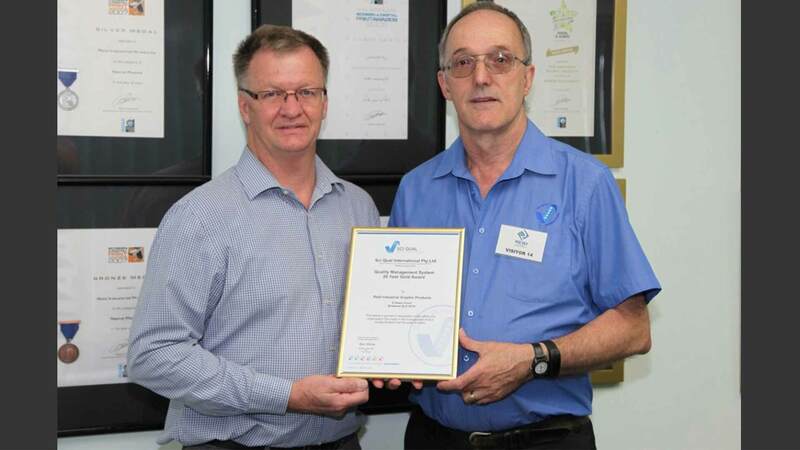 And just last year, we achieved a significant milestone – 20 years of continual compliance to ISO 9001. Our Director, Clem Johnson, believes that certification to ISO 9001 places us in a strong position to best serve our clients, backed by the assurance that we have quality systems in place. As a family-owned business, we pride ourselves on providing second-to-none products and services to our customers and we have every intention of achieving 25 years of continual compliance in 2020. Operating on the north side of Brisbane with 18 members of staff, we produce interface products locally in our purpose-built facility. We have the ultimate blend of knowledge and industry experience, which allows us to combine various technologies with the products we design to provide a complete interface solution for our clients. Our products are used across many industries including Air Conditioning, Mining, Water, Medical and Industrial Cooking Equipment to name a few. As far as we’re concerned, customer satisfaction is paramount. We work together with our customers to ensure that the manufacturing process and supply chain is streamlined, to achieve the best quality product possible. The finished interface can be shipped to your manufacturing facility here in Australia or abroad, ready for final product assembly. We are often asked about our point of difference, the difference that makes Reid Industrial stand out from the other suppliers to the printed electronics markets; the short answer is that from its inception Reid Industrial Graphic Products has always been a specialist manufacturer of interface products, somewhat of a trail blazer for new products and technologies. We are not an importer working from a back office nor are we a Nameplate company that just makes overlay panels and membrane switches on the side, our specialty is combining the R&D, knowledge, process capability and management structures to engineer products that integrate a number of printed electronics technologies into a fully functioning plug and play device. 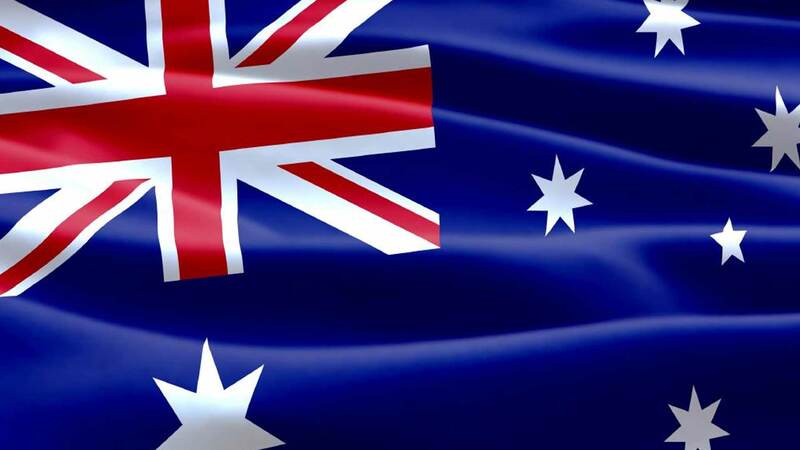 Yes, of course we can offer imported products, we have at our disposal some of the best suppliers in the Asian region, however our roots are with designing and manufacturing Australian made products that you simply can’t order on line. 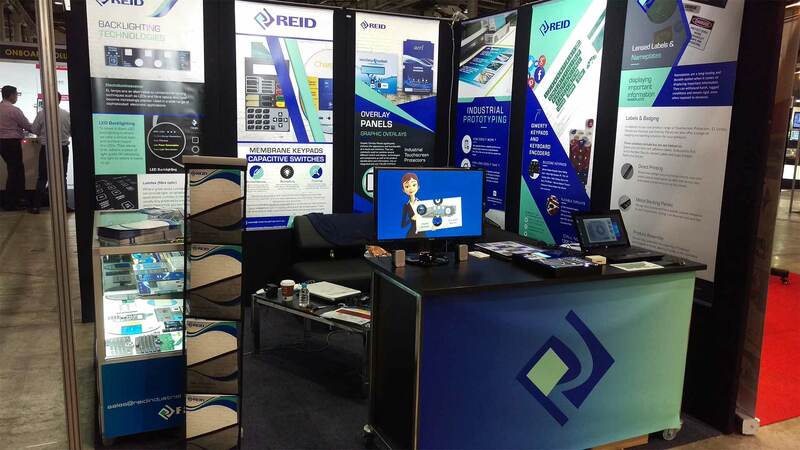 We pride ourselves in the fact that when you deal with Reid Industrial you are supported by dedicated Account Management and Customer Service Teams who are backed by experienced Design Engineers and top notch Production personnel, working from our purpose built manufacturing facility just north of Brisbane. For your next project, contact Reid Industrial Graphic Products for an obligation free quotation. Come and visit us at the Electronex 2017 Tradeshow in Melbourne. Where we will be showcasing our full range of Interface Products; Including Graphic Overlays, Membrane Keypads, Capacitive Sensors, Backlighting Technologies and more. One of the pleasures of being a specialist manufacturer is having the opportunity to be involved in new projects from their inception through to becoming fully functioning devices. At Reid Industrial Graphic Products we are committed to an R&D program that has over time, created new technologies that have significantly made a difference for our customers. Over the years we have been involved in many R&D projects undertaken and brought to market; we would like to share one case study with you here. Industry IQ, a leading electrical engineering company specialising in control systems for moving machines, required an interface device that would allow concrete truck drivers to work at the rear of the truck during darkness. The engineering brief required a flat thin panel with multiple buttons, with illuminated legends aligned in close proximity to the buttons. With the customer working closely with our R&D engineers, the outcome was to manufacture a flat panel membrane switch with tactile domes, backlit using SMD side shining Led’s and incorporating Reid Industrials Light Guide Film technology, for even light distribution across the panel. The project has been successfully released to market and is a win-win for both companies, developed and manufactured at our Clontarf facility. 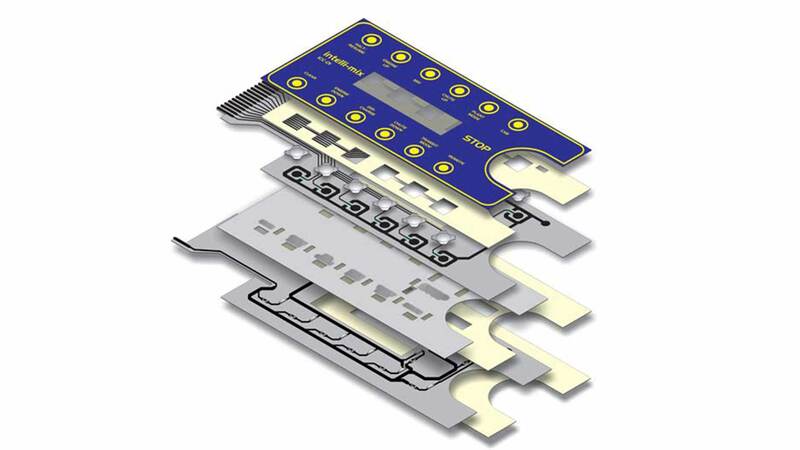 If you have a printed electronics project that needs our R&D expertise to bring it from concept to market, don’t hesitate to contact out Account Management Team for more information on how we can help you. Reid Industrial Graphics Product’s Capacitive Switches can be used as more than just switches. The team at Reid Industrial can help with your next project, integrate other technologies to enable the sensor to become a multi faceted product with capabilities that will stand out from you competitors. 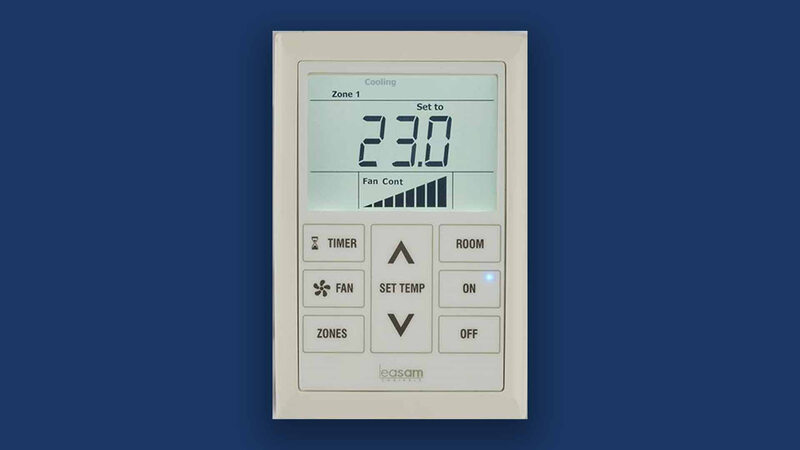 Our recent project with Australia’s largest air conditioner manufacturer, Actron Air, has enabled them to increase their product offering to reflect the growing demand for automated controls in the home air conditioning. Multi-touch (Can be used for multiple touch points at the same time).